Cuba has almost three times as much coastline as California. Meanwhile, compared to the Golden State’s estimated one million surfers, Cuba’s surfer population hovers around 100 people. Cuba has almost three times as much coastline as California. Meanwhile, compared to the Golden State’s estimated one million surfers, Cuba’s surfer population hovers around 100 people. 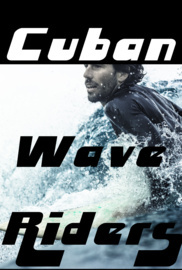 Since Fidel Castro did not support surfing in Cuba, the only way surfers could get boards were from travelers passing through Havana on their way to the Bahamas or the Dominican Republic. Surfing in Cuba has remained a very small subculture where the opportunity for professional sponsorship is non-existent. Cuban Surfers surf for the love of surfing. What they lack in equipment, however, they make up for with an abundance of pristine, undiscovered coastline and thousands of miles of empty, warm water surf. In the winter of 2017, two New York Based filmmakers, Taylor McNulty and Liz Magee, traveled down to Havana, Cuba for the first time. Liz had heard about a small local surf scene in the Miramar neighborhood of Havana and wanted to make a short video about surfing there. With zero connections and 2 research visas, the filmmakers eventually lucked out and met Victor Perez one day at a Havana beach.